Next week, I’ll be headed to Utah to visit my sister. I’ll be based in Salt Lake City, which is of course the Mormon capital. The Church of Jesus Christ of Latter Day Saints is a religion that shuns alcohol consumption, and I’m eager to learn how — or if — this has impacted beer drinking in the region. Perhaps it’s held the state back, since there is such a large percentage that do not drink. Perhaps it’s made the state’s drinkers that much more aggressive. I’ll be visiting Epic Brewing and Squatters Pubs and Beers, two brewpubs with excellent regional reputations. With luck and preparation, I hope to speak with members of both breweries. I also plan to interview homebrewers. It would particularly interesting to me to learn how different generations of homebrewers value beer among a population that openly shuns it. 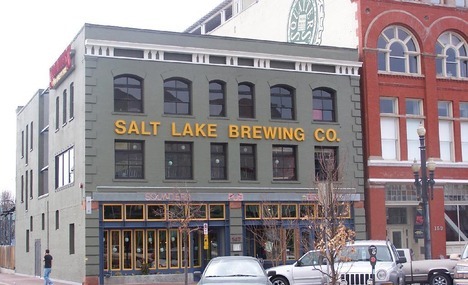 This entry was posted in Beer Snob and tagged Epic Brewing, Mormons, Squatters Brewing, Utah. Bookmark the permalink.